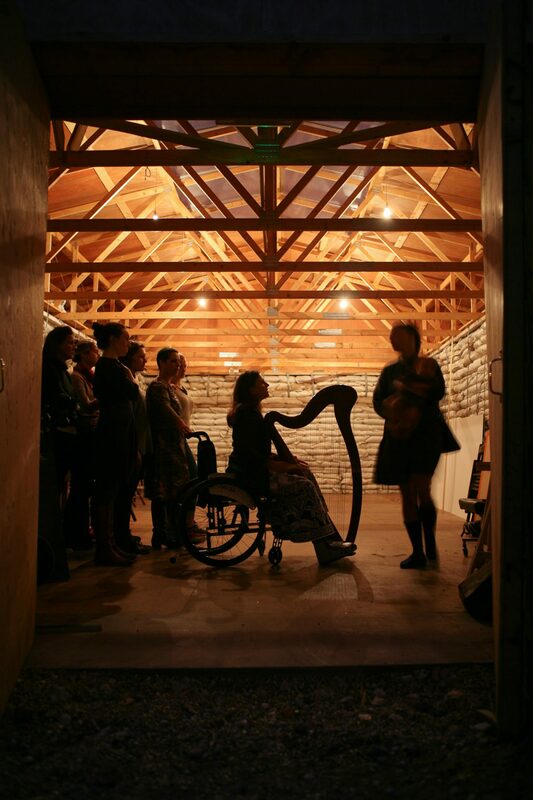 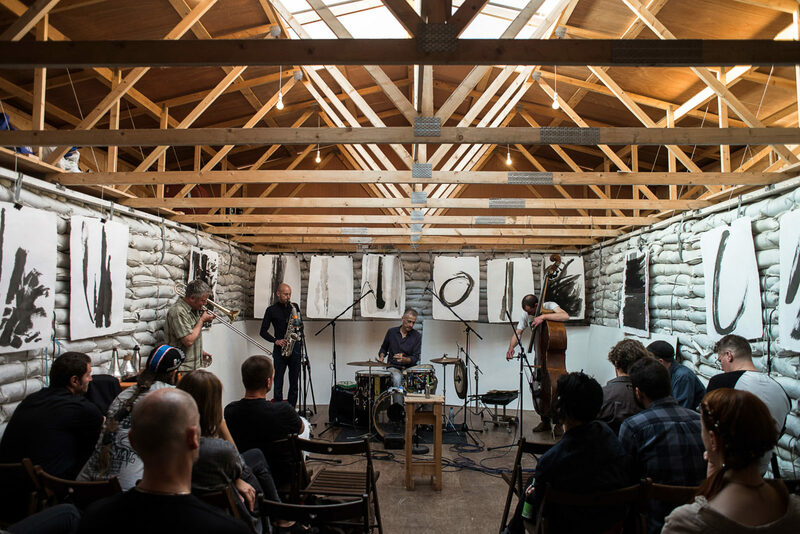 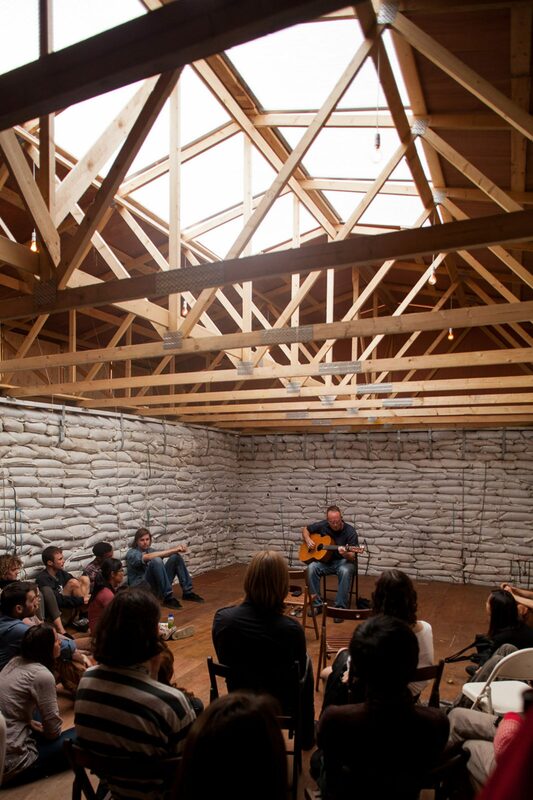 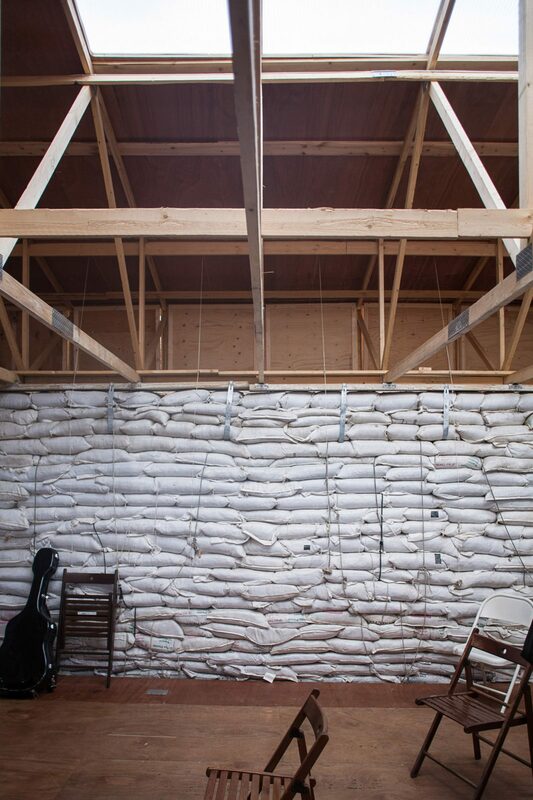 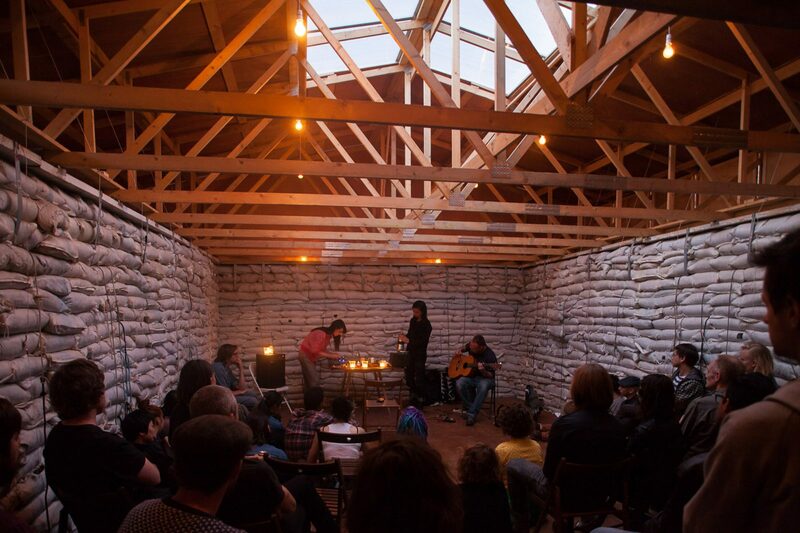 OTOProjects is a purpose built workshop and performance space for the experimental music venue Café OTO. 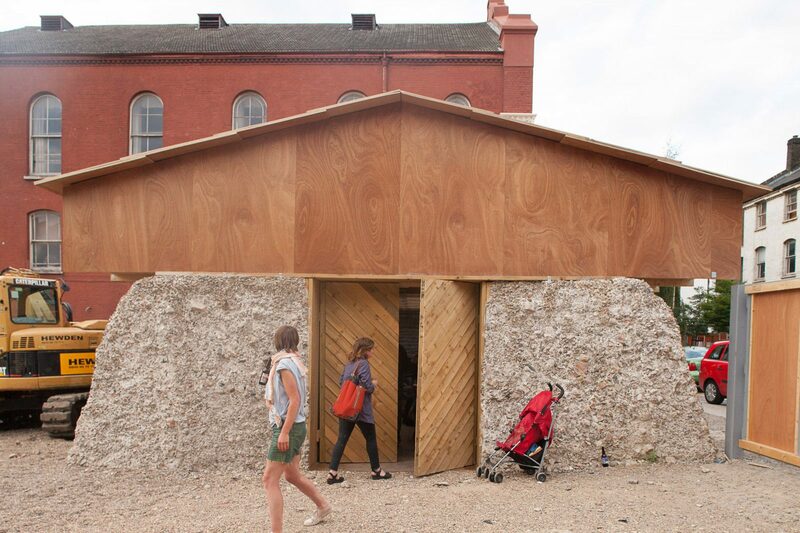 The building occupies a disused site in Dalston and, using the rubble found onsite, creates a single, monolithic volume for experiential and educational performance. 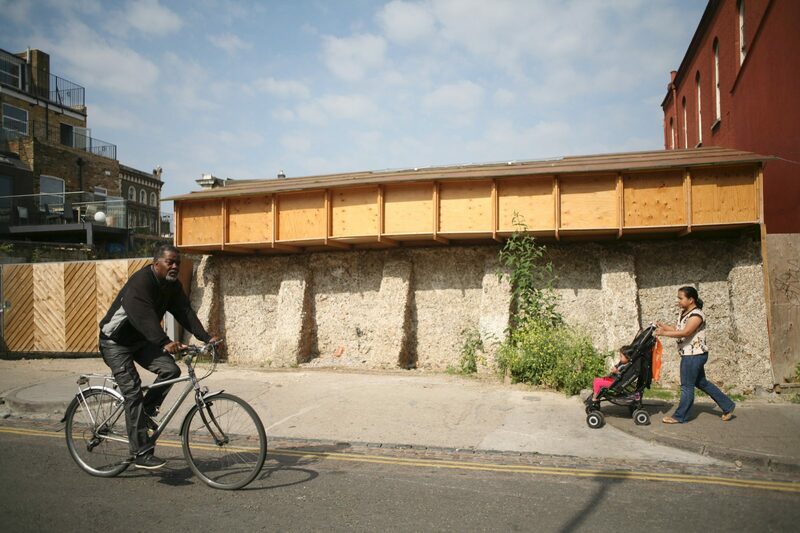 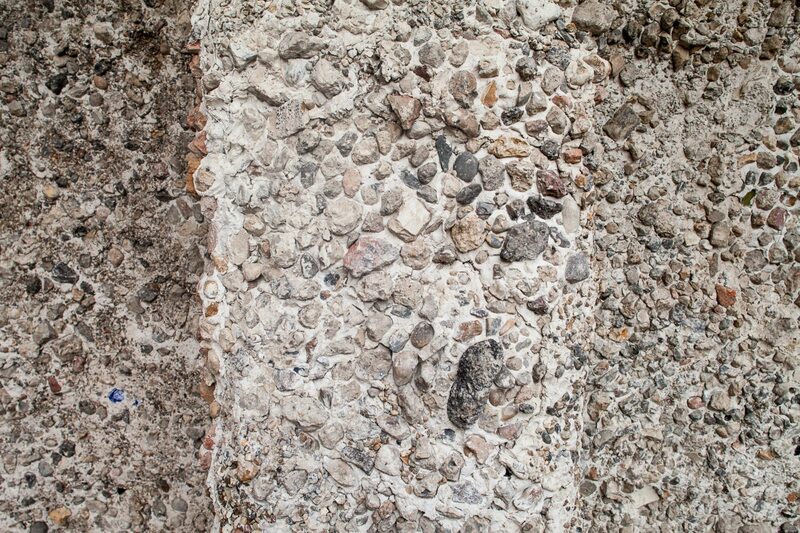 Like the traditional London-stock brick of the nineteenth century, the construction method of OTOProjects was based on utilising resources that were readily available locally at little or no material cost; in this case, demolition rubble rather than clay. 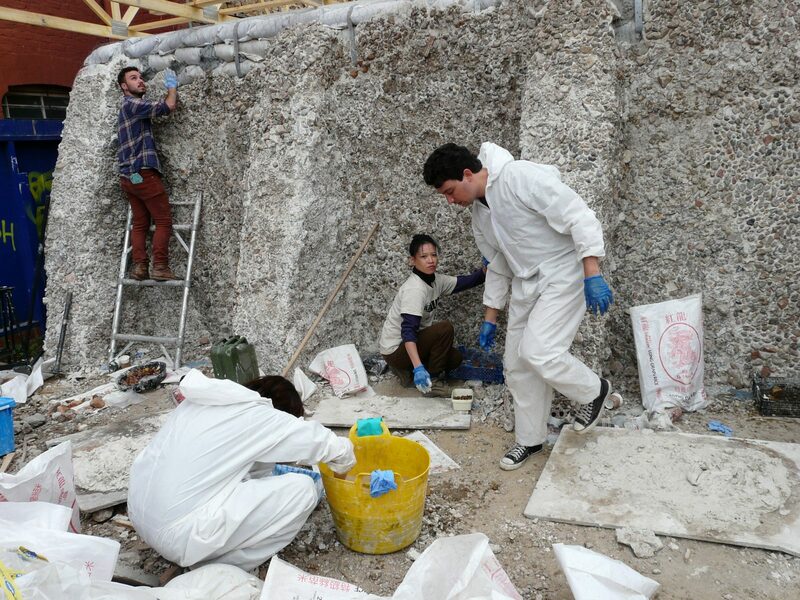 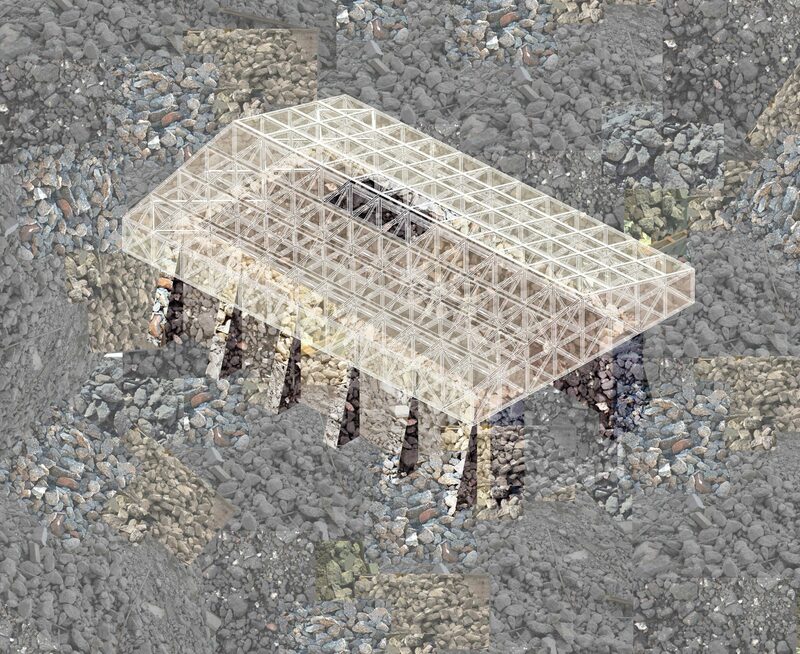 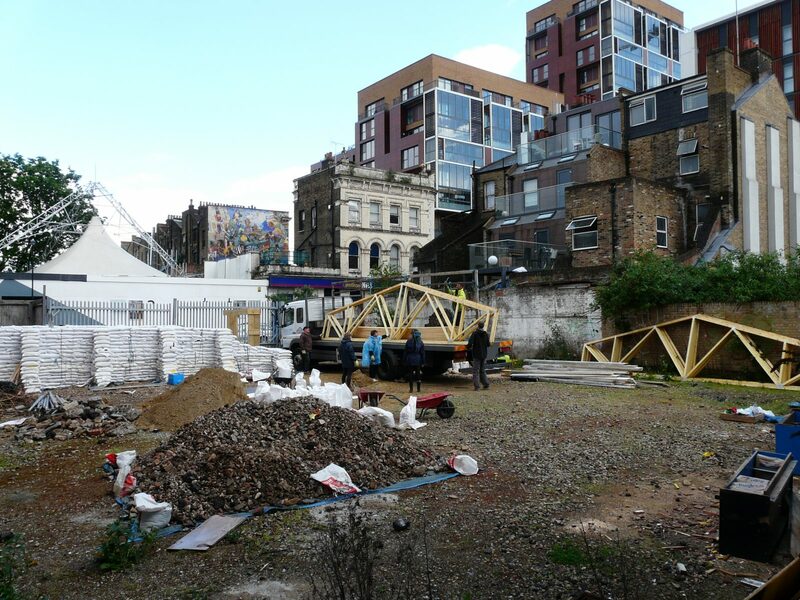 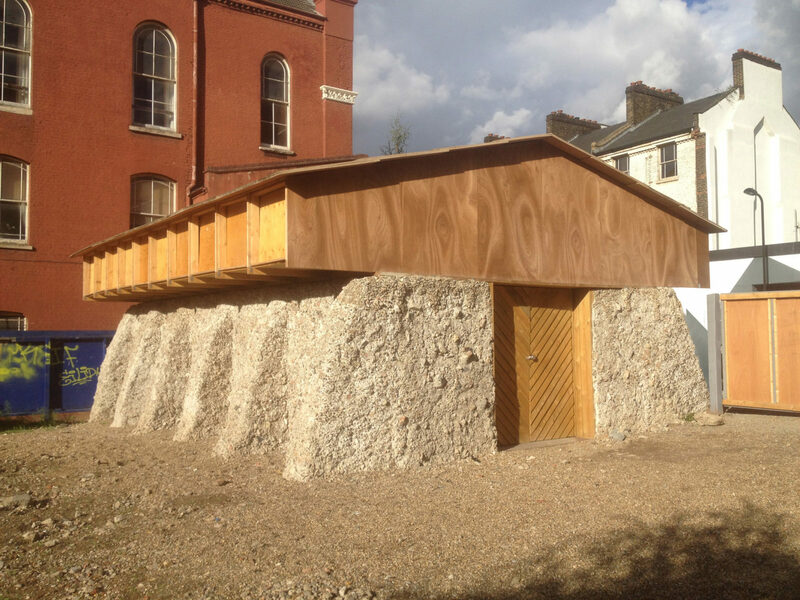 The earth, rubble and gravel on the otherwise empty site was gathered, sieved, bagged and compressed: transformed from waste into giant building blocks. 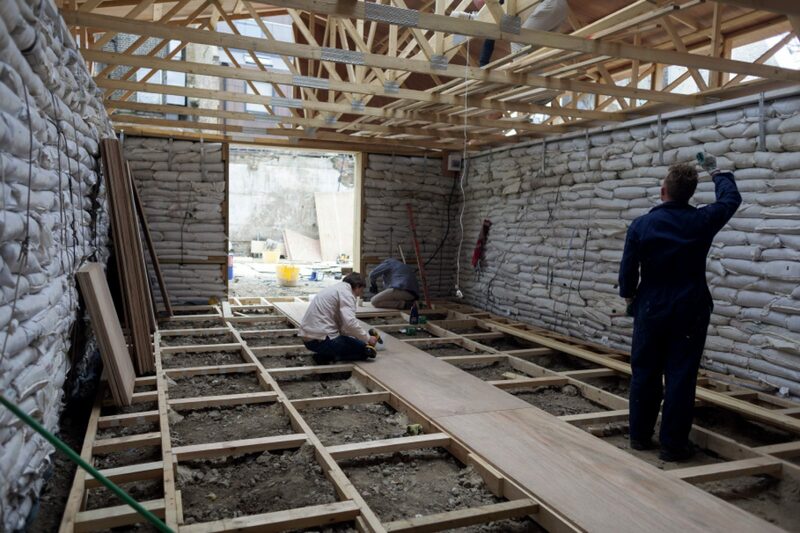 Deep rubble walls were finished with a decorative ‘rubble-dash’ render and topped with a lightweight timber trussed roof. 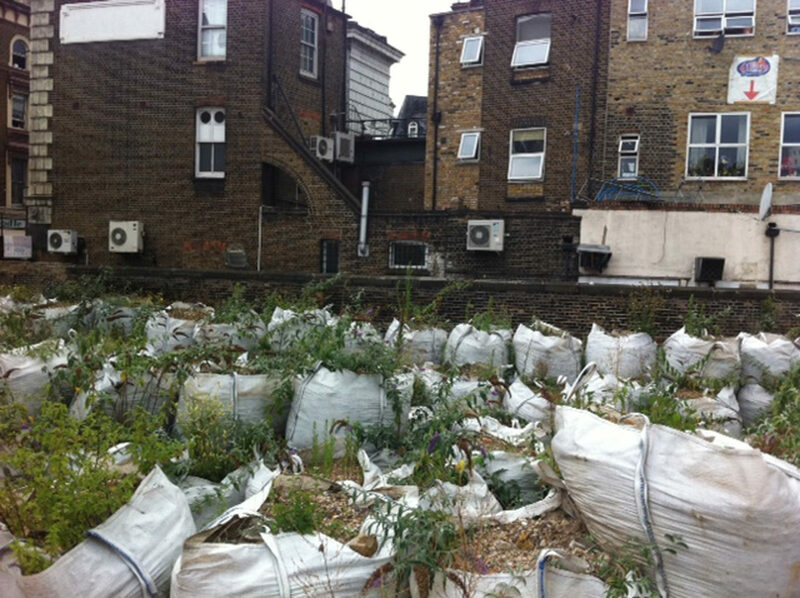 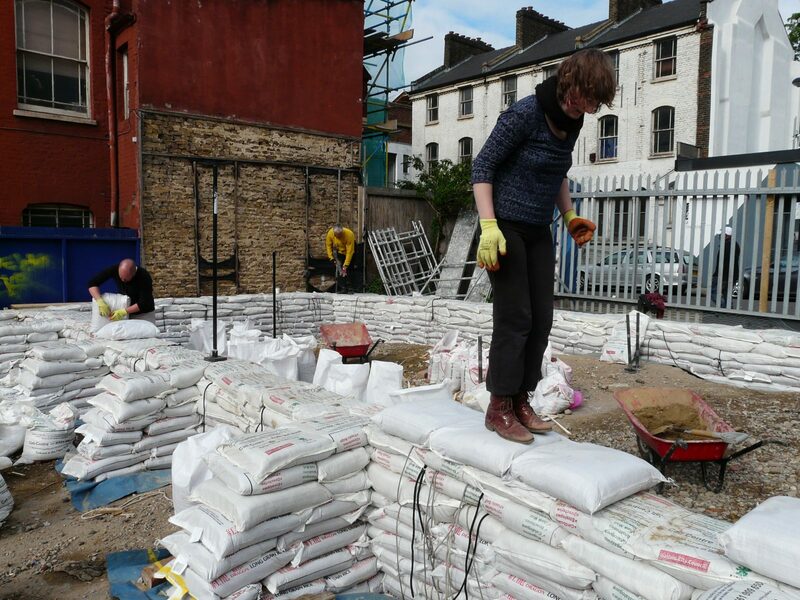 The project was built by sixty volunteers over the summer of 2013 and was delivered in association with the Barbican.